We all know that Australia is one of the best countries on the planet, so there’s really no reason to leave. Still, when it comes to overseas travel few do it better than us Aussies. But where are our favourite destinations, and which countries are the cheapest to visit? Appeal: Its proximity and cost are obviously New Zealand’s main drawcards; but there’s a lot more than that to entice you into going there. Thrill seekers can enjoy extreme sports such as bungee jumping or skiing, while movie buffs can see the setting for the beloved Lord of the Rings and Hobbit movies. 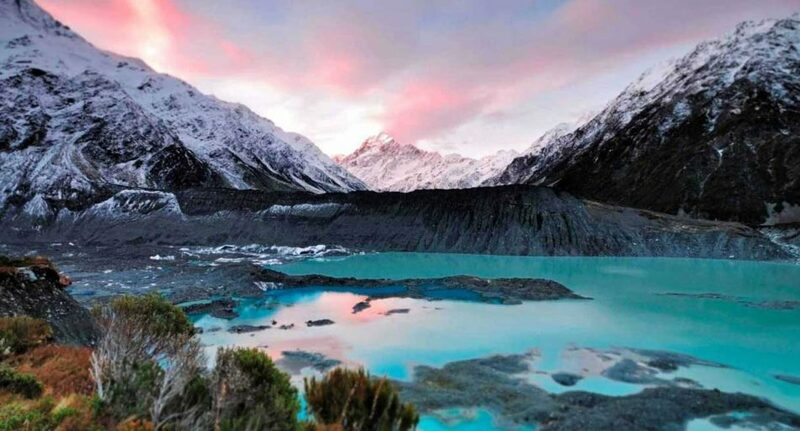 With so much to keep everyone occupied, it is little wonder New Zealand is the number one tourist destination for Australians. Appeal: Indonesia is a beautiful country, and Bali in particular draws Australian visitors like no other island. Flying to Indonesia is more expensive than flying to New Zealand, but its appeal is an island that’s unique and exotic. Stunning beaches, exciting towns and beautiful rainforests, make Indonesia the perfect contrast to the daily grind. Appeal: While flights to the States are expensive, it’s easy to understand why Australians choose it to spend their holidays. A vast and diverse country, it offers something for everyone. You can gaze at natural wonders such as the Grand Canyon, visit big cities such as New York or Washington DC, party in Las Vegas, laze on the beach in Florida or California, or spend a few days at Disney World. Appeal: Thailand is another exotic country that offers a different culture, not to mention stunning scenery. With a generous exchange rate it’s a cheap place for Australians to visit, which more than half a million do every year. Whether you want to spend your holiday shopping, lying on the beach, partying, enjoying the local cuisine or even learning about its history or spirituality, Thailand is the perfect destination. Appeal: We may give the English a hard time, but the UK is still one of our favourite holiday destinations. The motherland offers plenty of reasons to visit, including its unique scenery, history, and culture. A visit to the UK can include trips to Stonehenge, Buckingham Palace, the London Eye, and the Lake District, giving you a taste of its history, culture and modern innovation.